Leading Manufacturer of promotional medal from Delhi. 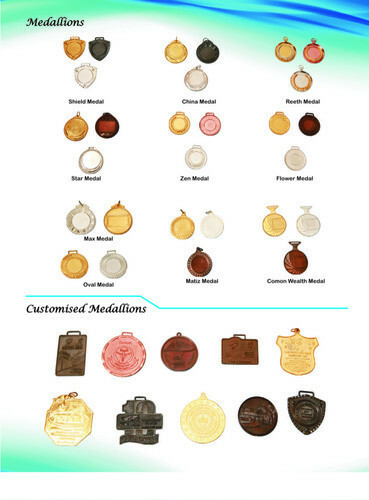 Our clients can avail Promotional Medal from us, which are awarded in various sports events, functions, and athletic meets. We use high-grade metals such as iron and brass to manufacture these medals. Further, these scratch proof and high finish medals are offered in Gold, Silver and Bronze plating.